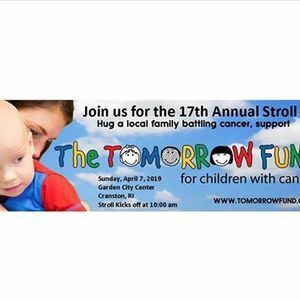 Join us for our 17th Annual Stroll on Sunday, April 7, 2019 at the Garden City Center located in Cranston, RI. Pre-register at www.tomorrowfund.org today! 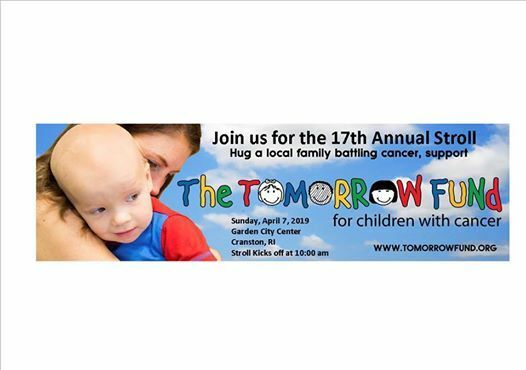 The Tomorrow Fund is the only non-profit organization that provides daily financial and emotional support to children with cancer and their families who are treated at Hasbro Children's Hospital in Providence, Rhode Island.